Sign up online with our streamlined form. The Ontario Internationally Educated Physical Therapy Bridging (OIEPB) Program is designed to provide educational and clinical opportunities that help physiotherapists educated outside of Canada including Canadians educated abroad to succeed with the national exams and in the Canadian workplace. Our OIEPB PCE Exam Pass rates show how well our Alumni have performed. 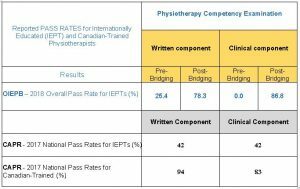 The PCE Clinical Component exam pass rate for our bridge learners is 86.8% compared to a pass rate of 42% for IEPTs with no bridge training and 83% pass rate for Canadian-trained physiotherapists. Once our bridge learners are licensed 100% are employed in their chosen area of practice. OIEPB is offered through a partnership with the University of Toronto, Department of Physical Therapy and the Ministry of Training, Colleges and Universities. Our Mission is to create an adult learning environment, building upon a learner’s education and clinical experience to promote, improve, and maintain the mobility and function of Canadians. 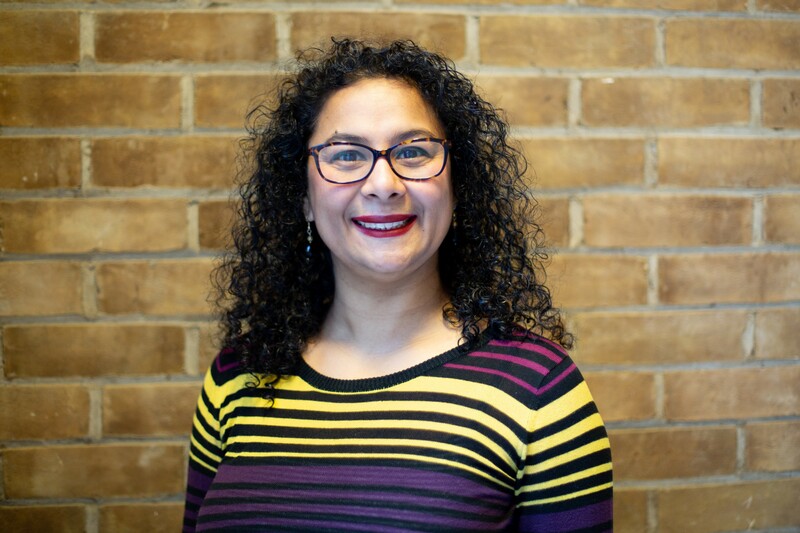 The goal of the Ontario Internationally Educated Physical Therapy Bridging (OIEPB) Program is to enhance the internationally educated physiotherapist’s (IEPTs) professional and clinical competencies to qualify for practice as an autonomous practitioner within the Canadian health care system. The Comprehensive Bridging Program occurs once a year from April to February. Applications are accepted throughout the calendar year. The curriculum is delivered as a mix of online opportunities and onsite practice. This delivery format provides flexibility and greater access to the program for learners living outside the Greater Toronto Area. To learn more about the content of the program, click the link below. The Comprehensive Bridging Program is for IEPTs with Canadian immigration status such as Permanent Residency, Canadian Citizenship or Convention Refugee status. Your credentials must already be approved by CAPR and you must meet the OIEPB English language proficiency requirement. The evening Information session gives IEPTs an opportunity to learn more about the program, meet the program staff and faculty, and have the opportunity to meet past graduates from the bridging program. Come and have all your questions answered! The OIEPB Newsletter is published throughout the year. Keep up-to-date with program news, activities and events. To view Current and Past Issues click here. Subscribe to our listserv. You can unsubscribe at anytime by clicking “unsubscribe” in the email edition of the OIEPB Newsletter. Your email will not be shared. Start the application process with our streamlined online form.